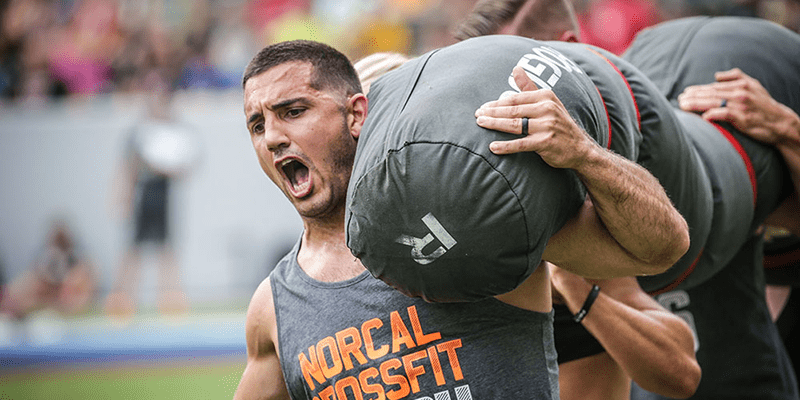 Jason Khalipa talks about the inspiration behind his new book and how the AMRAP mentality will help you to succeed. 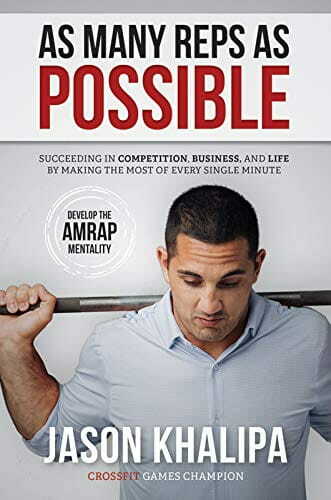 Hey Jason Khalipa, What led you to write the Book? Originally I started to write the book to share what I had seen/learned in business and life about hard work. When Ava got sick it transformed the way I looked at everything. I realized the night she was diagnosed that we shouldn’t just work hard for cars/watches/etc but instead to have the means to provide for our family if/when a crisis occurs. I wanted to share the message that by being present and focused with family, business, and your fitness you can build a hedge which will allow you to take on challenges better. Spending Valentines Day with my two ladies. Guess I'll save on a fancy dinner, room service is complimentary at this 5 star hotel. Haha. Tell us more about the content of the Book? The book shares a tool/mindset I call the AMRAP Mentality with the reader. It is the approach I take to everything I do. It has 5 steps: Know your why, identify your focus, work hard at it, switch gears between them, re-evaluate. Where will the proceeds from the book go? Pre-sale proceeds benefit NEGU.org which is an organization that supports families and children going through pediatric cancer. My family and I have became very close with the founder and we truly believe in their organization. What has been your favourite moment in your CrossFit career and why? Moving up the leaderboard with 2 events to go in 2014 to take 3rd place and sharing the podium with both of my children, that was a great day! Throwback to 2014. Rough day today, all the smiles will return soon! Ava and @ashleykhalipa are stronger than anyone I've ever met. 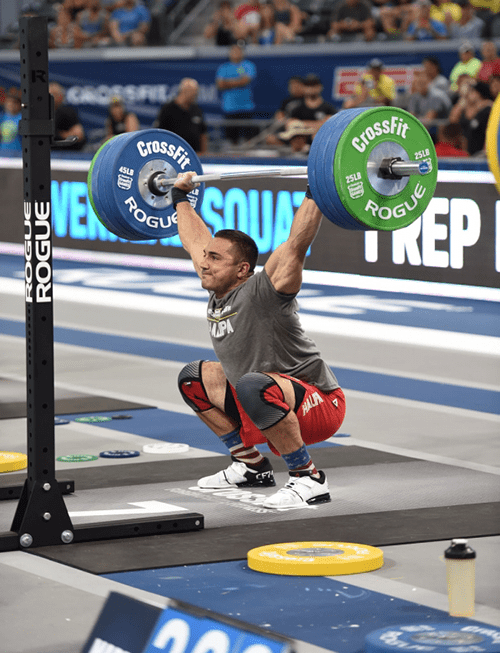 If you could design one workout for the 2019 CrossFit Games, what would it be and why? I’d like to see workouts from the past repeated such as the Burden Run to see how the athletes have improved over the years. You have only 15 minutes to train, what workout do you do and why? If I just got off a plane or have very limited time one of my favorite workouts is. 15 minute AMRAP (As Many Reps As Possible) of 5 push ups/ 7 Sit Ups/ 10 Air Squats. I focus on movements that would move my body a long range of motion. I also think about a rep scheme (5/7/10) that allows me to keep moving, elevating my heart rate and producing a lot of power. My family for sure….and The Rock (Dwayne Johnson). When I was competing “move fast, breathe slow” now its “business is a sport only you don’t know all your competitors and you’re competing everyday”. How important is confidence when it comes to performing as an athlete and as a businessman? Confidence is very important, but it needs to be earned and not perceived. Earned confidence is earned through hard work for long periods of time. Perceived confidence doesn’t do much for you, you can tell yourself all you want that you will do well but unless you know deep down you have backed that up with action….the results often times aren’t great. I’d like to teleport and take my family with me anywhere in the world. Can you give three important tips for newcomers to CrossFit? Remember that we want to be fit for the rest of our lives, not just next week…..you have plenty of time to develop and work towards your goals…..just stay consistent!